My year with the Grade 4/5 munchkins was quite a challenge. Just dealing with drama everyday gave me a headache but I've learned a lot from them. Since I'm an LTO, my contract with the school ended and I had to look for a new positiong for September. It was sad to leave this school that I've worked for for the past The last two weeks of school was all about sending out resumes and hoping for an interview. Fortunately, I had one ye three years but I think I've done what I had to do there and it was time to move on. Yesterday I had an interview and I am now a grade 1 teacher in September until November. At least I know what I'm doing in a few months. It's been almost a year since I last touched my beads. Next week, I'll be on vacation to Hong Kong and Japan which leaves only this week to do some beading. 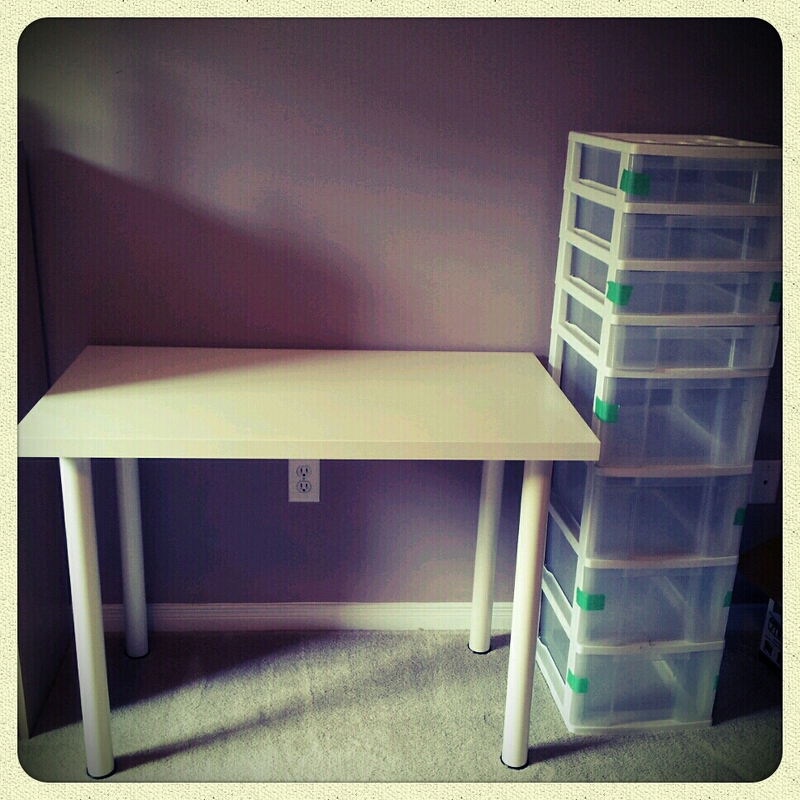 So, today I set up my temporary beading area in our bedroom which may eventually be moved into either a room upstairs or the basement. Not sure what the best set up is right now. 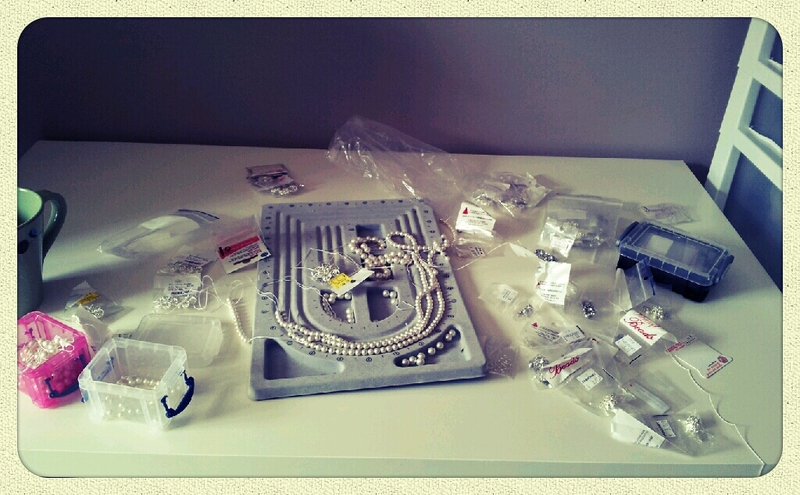 I took out some charms and white Swarovski pearls and started making some new wedding jewelry designs. 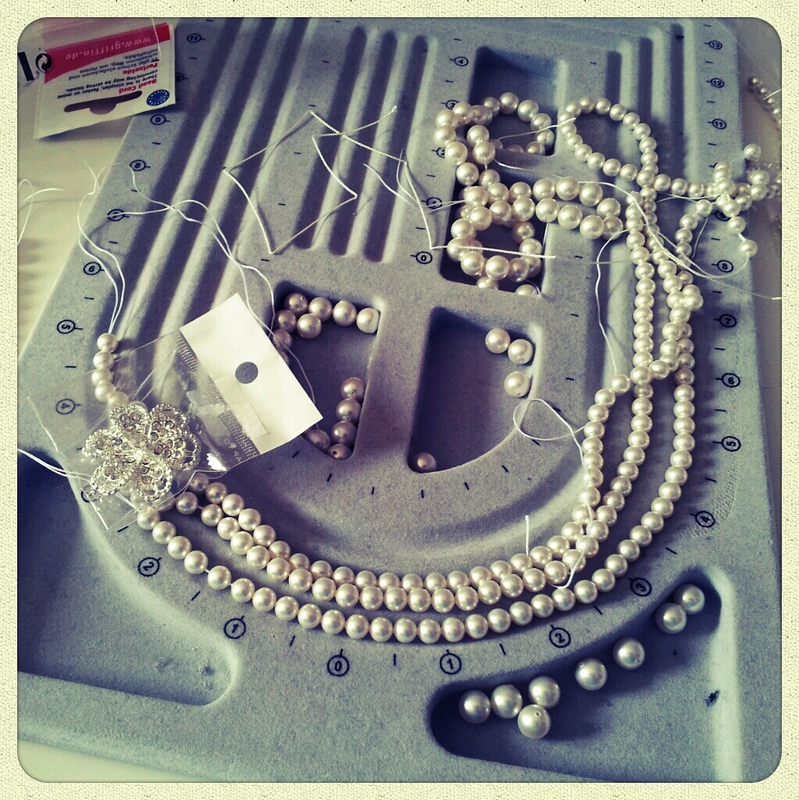 The funny thing was that since I haven't made any jewelry in a year, I almost forgot how to hand knot the pearls. lol Good thing these skills never leave you! After a slow start, I hope to have at least one finished product before I leave for vacation. The start to a nice mess.